Here are some useful tutorials of how you can easily make beautiful jewellery pieces out of sea shells. 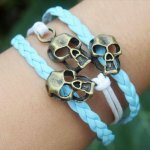 These 10 DIY Awesome Seashell Jewelry Tutorials are unique and different from other jewellery pieces that we usually buy from jewellery stores. For this purpose you can select sea shells of your own choice and attach then to simple colorful chains or beads to turn them into gorgeous necklaces. We can also use jute along with these shells to create hand bands or bracelets. We can also customize these jewellery pieces by coloring them in order for them to match with the dress we are wearing. 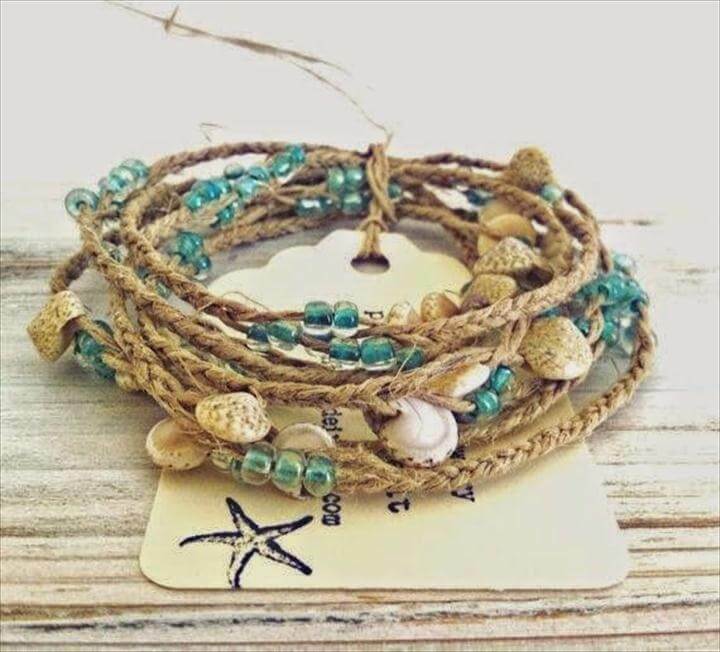 For making these bracelets we just need bead strings or jute strings and stick the shells onto them with the hot glue gun and simply tie a knot after wearing or we can also attach hooks. The hooks are optional and can give your piece a more finished look as compared to being without hooks. 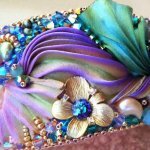 Making headbands is also a very easy crafting hack to do with the sea shells or snail sea shells. For this we just need a simple headband and we need to stick shells on the band with the help of hot glue gun and allow it to dry, if you want you can also polish or color the shells to give them a neat and enhanced look. For the polishing purpose you can use the shiny colorless nail color and simply paint the shells with it and let it dry. We can also make earrings with small DIY sea shells .for this we just need long metal hooks or a wire gauze and attach a ring at the end of these wires or hooks and to these rings you will have to attach your beautiful tiny shells. We can also stick the DIY sea shells jewelry on our simple and boring bobby pins to turn them into interesting beach shells hair pins.